Before he ever helmed The Daily Show, Jon Stewart was just another kid trying — and failing — to get laid as he drove around New Jersey in an AMC Gremlin. 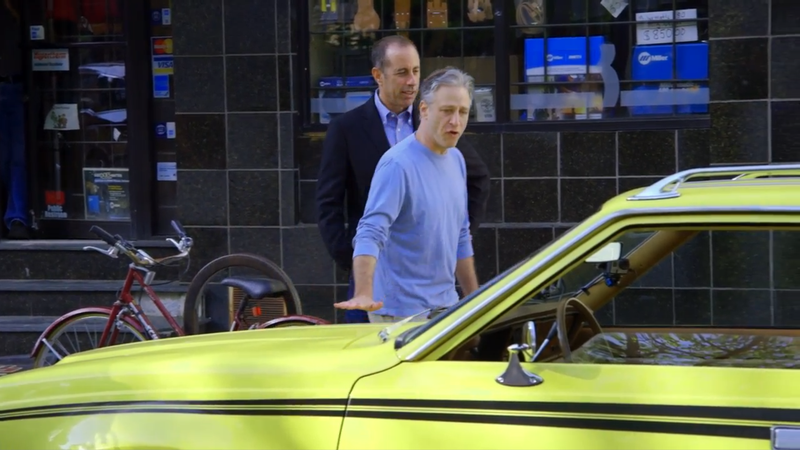 That was the Gremlin's secret power, Stewart says in the latest episode of Comedians in Cars Getting Coffee. Contraception. Assuring that its driver never, ever procreated by accident. But then his buddy Jerry Seinfeld explains he just can't drive in the Gremlin, so they make the switch to a 1969 AMC AMX instead. And they go from lame to badass in about two seconds. That's what this episode is — a salute to the glory of the American Motors Corporation. Check out the latest episode over at the CCGC official site, since embedding is wonky.